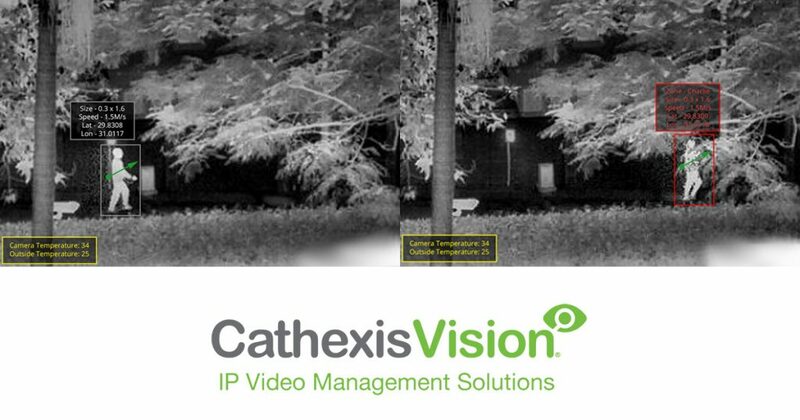 Cathexis Technologies announced its latest integration – Cathexis Video Analytics with SightLogix Smart Thermal CCTV Cameras. The SightLogix range of thermal CCTV cameras offer excellent on-edge analytics with the most significant feature of this specific integration being the use of GPS technology, GPS-based video analytics can pinpoint intruders on a live sitemap while auto-zooming PTZ cameras for alarm assessment. The SightLogix Smart Thermal Cameras with Video Analytics provide highly accurate outdoor intruder detection at a reduced cost. This simple, yet robust technology, offers a seamless solution to outdoor and perimeter security challenges, including intrusion, theft and vandalism. SightLogix is integrated with CathexisVision to display live viewing GPS co-ordinates on-screen in accordance with the intruder or object movements. The information generated by the camera operates with the Cathexis analytics enabling the GPS and other information to provide the most effective and accurate results. The ability to detect, assess and respond immediately to incidents or potential intrusions. The GPS-based video analytics pinpoint intruders on a live GPS calibrated SightLogix map, while auto-zooming PTZ cameras for alarm assessment. 24/7 intruder detection, where thermal cameras combined with analytics provide accurate detection, any time of the day or night and in all climatic conditions. Suitable for some of the harshest climatic conditions, this system operates reliably in extreme variances in temperature. Tagged CathexisVision. Bookmark the permalink.